Picture This: You are at a workshop. The Facilitator announces: “Self Introductions!” She gives everyone 30 seconds. She’d like to start with… don’t freak out... you. Yes, you! I have written so often about “How To Confidently Introduce Yourself” that this time, I have created a 20 page EBook which explains how to do it for yourself. The link to learn more and buy is at the end of this article. Just like washing-up styles, there are infinite ways to introduce yourself professionally. Today I explain the advantages of being a Self-Intro Superstar, I share 6 creative styles to keep boredom at bay and why you should keep a few versions up your sleeve. Generally, a networking Self-Intro takes between 30 and 180 seconds. About the time it takes to answer a text message or have a blood test. A brief rah, rah, rah and it’s all over. When it’s time to introduce yourself, especially to a group, an astounding number of people begin with “umm”. That conversational filler will buy some thinking time, but really, how much time do you need to remember how to say your name in public? Ummm, forget to mention your name. Ramble and get gonged off for going overtime. You don’t “end” but fade away as you sink into your chair. Be mind-numbingly boring… because you are bored. Apologise for existing before and after you speak. Sound just like everyone else and be just as forgettable. Inappropriately list your achievements like a verbal CV. Launch into a high-powered selling tirade. Fail to explain who you are and why anyone should listen to you. Oooh dear, are now you shrivelling up with the memory of a time you really “stuffed up” your self-intro? Or remember the compassion you felt when someone else was struggling like a butterfly on a pin in front of the group? Attract the right kind of clients and connections because the right people, heard you. Why Do I Need Different Versions & Lengths? Because every moment, every group and every situation is different. You begin a new conversation with every self-introduction. You may spend the rest of your life or just a workshop day with those new people. How many times has a chance conversation with a stranger turned into something you really valued? Self-introductions create potential long-term relationship ripples, yielding valuable friendship, contacts, clients and new ideas. Self-introductions mean you are out of the office. How many new people have you met lately stuck in your chair? 5 Seconds – yummy bites to suit informal, off the cuff moments. 30 Seconds – tantalising tasters to generate interest, connection and conversation. 60 Seconds -here is the showcasing opportunity – prepare efficiently to make effortless. “You know how when some people speak, you remember them and ask for their card, but others, you simply forget? Well I fix that! My name is Geraldine. I’m a public speaking coach and I transform the speakers you don’t remember, into the ones that you do!!! Work with me, if you want to be remembered when you speak! Understanding Your Audience – you need to customise to each unique situation. Your POD (Point Of Difference) – what makes you different, valuable and memorable? Authentic, Conversational Delivery - not too fast and not too slow. Confidence & Handling Nerves – generate respect, credibility and opportunity. Become A Self-Intro Superstar – Stop Cringing – Next Step! If you are keen to never freak again when asked to Introduce Yourself, the next step is to purchase my Ebook, “Easy Self Introductions: For People Who Loathe Networking & Introducing Themselves.” I provide examples from different occupations (such as therapist, photographer, physio, bookkeeper, solicitor, author, coach) to get your creative juices flowing. I demonstrate examples of 6 Self Intro styles, each 30 seconds in length, plus I include a few 5, 60 and 120 second versions. Naturally you can have fun plundering, mixing and matching. There’s also exercises to help you put your own together, so you come out sounding like you, not me! It contains 20 pages of how-to notes, examples and templates. Why have one when you can have six ways to introduce yourself? Whip ‘em out and you’ll never be caught short when a Facilitator suddenly invites you to speak first. Never freak out again. © 2019, All rights reserved. 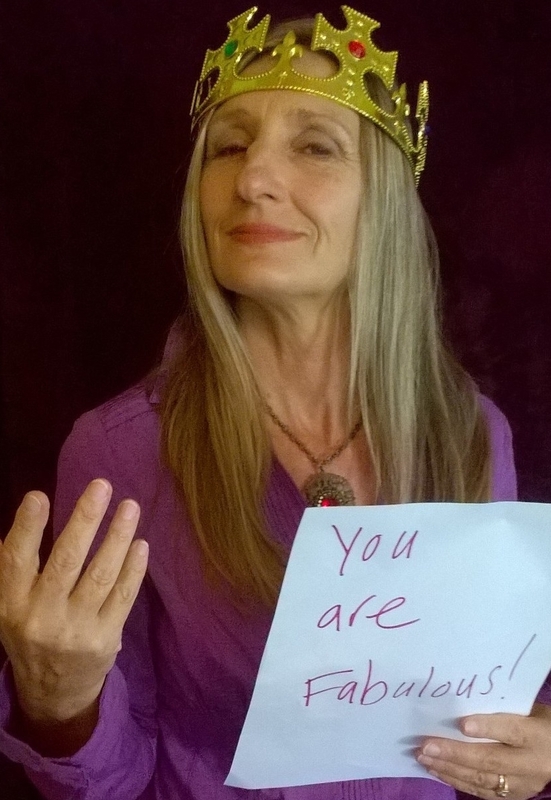 Geraldine Barkworth, Public Speaking Coach, Goddess Of Public Speaking. Activism and public speaking roles traditionally favour loud confident extrovert personalities, willing to beat the door down to be heard. Think of street fundraisers who boldly approach for donations and brush off rejection and disinterest like dandruff on a collar. 50% of the population identify as introverts. Introverts want to contribute but often struggle to be heard in meetings, groups and in the street where the loud and quick, dominate. 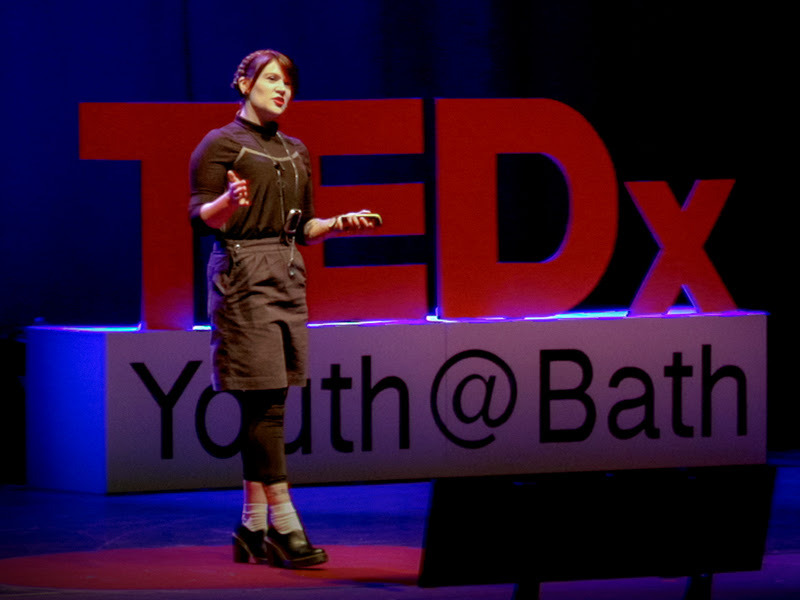 Sarah Corbett’s delightful and inspiring 13 minute TED Talk Video Activism Needs Introverts shows introverts how to participate without compromising themselves and becoming… an extrovert! No offense intended! Group Handicrafts. People slow down and think more deeply rather than rush off in reactive rage. Participating in calm, repetitive artwork together is unifying. This is a boon for the shy who can have interesting conversations without heavy duty eye contact. Gift Making. Creating and presenting clever and simple gifts for the influential in power. Rather than using threat, they create quirky gifts like a hand sewn handkerchief with a pertinent message. The personal thought and heartfelt message combine to create a new way to reach people. Provocative Art. Create art in small, personal ways like T-shirts and signs that initiate 1 to 1 conversations (something introverts are good at). They use intrigue, strategy and social movements rather than force or noise. In my late teens, I joined a group of social activists because it looked more interesting than going to the pub every Friday night giggling in white stillettos. The group waived placards, beat drums, tied themselves to trees and dressed up in post nuclear rags. Lots of makeup. It was fun, but ineffective. I noticed the general public were uninterested and even repelled. Certainly our plucky activist numbers did not grow. I’m not saying causing a ruckus is a waste of time. It’s just one of the ways to draw attention to important causes. Perhaps a way that’s more suited to extroverted personalities. Being an introvert, I feel thrilled by Sarah Corbett’s approach. Sarah closes with a call to Activism Action to gain the best results for everybody: Extroverts must consciously include introverts rather than ignore or dismiss their contribution. Introverts must actively join in their way, rather than give up or hang back, to ensure everyone’s unique voice is heard. To listen to more TED Talks, visit www.ted.com. We all have tough times and sometimes you don't want to talk about them, ever. But if you are ready to consider them, think about what you learned. It's the learning that's character-forming. Not whether you succeeded or failed, but what you learned as a result. And if that learning benefits you, then it will likely benefit others. And that's the basis of good story telling. Often, it's the so-called "failures" that provide the most benefit. Knowing not to do something again, is powerful. It's the beginning of wisdom and confidence in yourself to make the best choices for you. No mistakes or scary challenges equals a boring stunted life. I was second speaker at a conference, talking about the elusive mystery of work life balance. So elusive, the first speaker was missing. He eventually turned up twenty minutes late and spoke AT the audience instead of WITH them. I had to re-energise, re-engage and refocus a hostile audience. I gained a lot of value from that crappy experience. It propelled me to morph into a specialist public speaking coach. “It was hot, it was sticky... it was a tropical conference at the top end of Australia. A government minister was to open the conference and he was twenty minutes late. In he shuffled apologetically, flanked by four flunkies. He hid behind the lectern and studiously read a long jargon filled paper, clearly written by somebody else. His voice was a fast monotone, his were eyes cast down. Who was this man? Why was he here? I didn’t hear the rest of his speech because, “He lost me at “hello”. One: When a speaker fails to acknowledge, engage and be relevant to his audience, they switch off and stop listening. Two: What is the point of speaking if no one is listening? As I was the speaker following him, I felt jittery. He was not only over time, but he’d lost our audience. This meant I had to work hard to regain attention and respect from the audience and keep my own spirits up after a dismal start. The turning point for me was the realisation that there was an opportunity here. I already knew how to help people feel confident, craft scintellating messages and sensitively lead groups. Right then I decided to switch from life coach to speaking coach. I chose to specialise in showing nervous speakers how to relax and give themselves and their audience a good time. A time they would value and remember. When you begin your speech with sharing a personal story, it begins a relationship with your audience. Start with a simple, graphic opening line. Pause to let the audience catch up and have their own experience of relating to what you said. Briefly tell the rest of the story. Tell what you’ve learned from that experience and how it relates to the purpose of your talk. Engage their interest first. Then explain how it is relevant to them. Make eye contact one person at a time. Don’t struggle with trying to put something “clever” or “perfect” together (that’s a “should” coming from your head). Instead, take a leap to trust your instincts (coming from your body and heart) that what tumbles from your lips will be good enough. It’s your true story in glory and simplicity. Your story telling just may a bit of polish. The key is to practise again from a fresh perspective, using what you learned from your first story telling practise. Ask yourself each time: What flowed and felt good? What didn’t? Taking the time to pause often while you speak, gives you time to gather your thoughts, tune into your feelings and speak from that place. It allows your listeners to catch up and travel along with you. Sometimes speakers feel nervous or believe they don’t have anything of value to say, so they too speak quickly or nervously fade away. Which are fabulous ways to lose your audience. The "pause" draws people in – they want to be with you, because you are with them. Pausing is natural and normal and feels like relief. Choose a story from your past, it may be twenty years ago, it may be yesterday. Choose a turning point for you, a significant learning that caused you to change, grow or overcome a problem. Or maybe you didn’t overcome it. Perhaps that was the valuable learning. Take a closer look at the format I used for my turning point story above, “He Lost Me At Hello”. Right now I want you to resist writing out your turning point story so it doesn’t get caught up as a carbon copy of the one above. Writing things out perfectly often leads to memorising and sounding like a stiff piece of cardboard. Trust yourself you can tell your story, what you learned from it and what you can therefore share or teach others, because… you were there… how could you forget? Start by recalling the story… identify what you learned… and then distill the essence into something you find valuable and can assume your potential listeners will too. Now say it out loud. It’s ok to ramble a few times. It’s may be easier to practise with some one else. Get the guts out, then reduce and create a good story telling picture. Remember to pause as you recall it and to allow listeners to share in the picture you are painting. Another benefit of saying it out loud first, is your language will sound more natural. If you want to write it out, you can do it now! And if you’d like to learn the rest of the “He Lost Me At Hello” story, you can download it from my free Treasure Chest of public speaking goodies. You don't need to spill secrets, share personal tragedies or make up stories to create drama and get attention. A good story contains all the elements of life: a problem, the journey to resolve, the joy and pain of the learning. Your private life is private. You choose your level of disclosure... and you can bend the truth a little... especially if it makes even better story telling! Adults and children understand that a story is a metaphor for a powerful life lesson. It contains a core of truth. What's most important is the learning, because that's what you are transmitting, the learning you gained from your tough time so that others benefit from the wisdom of your experience. So many public speaking fear exercises out there... which one to choose and which one is right for you? A solution feels like a good fit when it exactly addresses the specific problem. In other words, you don't just have anxiety, you have "public speaking anxiety". If you apply a generic formula, you'll get a generic result, one that's just not quite right for you. So you abandon it and lump it in with all the other failed solutions. I'm a specialist public speaking coach and I introduce my clients to a mindful breath technique I've developed for nervous public speakers. It works for speaking nerves and it works for dinner with your mother in law. It works whether you are a coach, therapist or CEO. I call this special mindful breath technique, dum de dum daa: The Inner Calm Exercise. 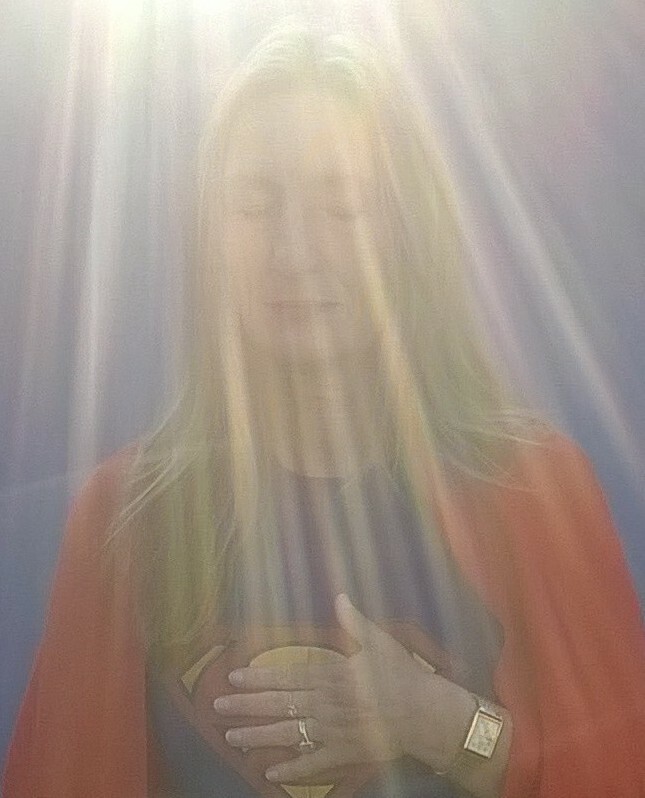 Below is a short MP3 audio recording of my voice and a quirky home-made video on how to breathe your way to inner calm with this public speaking relaxation exercise that really works. Simply click the "Play" triangle below and you'll hear me talk you through it. Make sure you turn up your sound button. It's such an effective technique I offer it free to everyone. It's the "hit" of my retreats, workshops and private coaching. Years later, clients contact me to exclaim over how it's still changing their life. They use it before speaking, to help them go to sleep, to help them wake up and focus, to deal with moments of overwhelm and with difficult conversations of life. Public Speaking Fear Begone and Stay Gone! To enjoy the full benefits, I recommend you practice it every day for 6 weeks and continue to use it on a regular basis. Pretty soon, your body and mind begin to associate mindfully taking a breath in and out, with taking emotional control. Make Inner Calm a daily habit and find a way to make it part of your daily routine. If you prefer to have step by step help to stay on track with learning this new habit, try my Online Course called Confidence & Connection. It's a 43 page eBook covering weekly public speaking confidence exercises to make your public speaking fear begone! It includes MP3 recordings of visualisation exercises to help you speak with ease and authenticity. More information on using the Inner Calm exercise is included. Now you can take a big breath in… and out. Finally, a public speaking relaxation exercise that really works. Ever listened to a presentation that didn’t flow or make sense? What it needed, was a KISS. “The 3 steps of a, b and c, are pivotal which is why we’ve just spent half an hour on them. Pause…”I’d like to talk to you about... ROCKET SCIENCE.” Pause. To write your speech with a kiss, link sections of your talk with connective sentences to demonstrate logical progression. Use language, tone and pausing to emphasise major points and signify changes in pace and direction. A book is divided up into chapters, sections and paragraphs. These are broken up further into major headings, minor headings and general text. 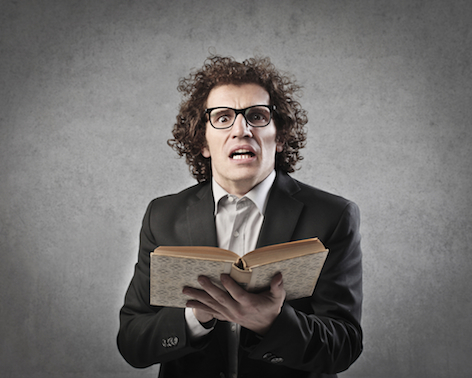 Your presentation is like a formatted book, except your audience is listening to it, rather than reading it. If you were reading a story out loud to a child, you would pause at the exciting moments, speak slowly to emphasise important moments and throw in some vocal drama here and there. Whenever there is confusion in a story line, an argument, a speech.... the listener gets lost. Keep your listeners on a clearly lit path and write your speech with a kiss. No convoluted slobberings, just clear, logical links to gently invite your listeners to walk with you. Want public speaking freebies? 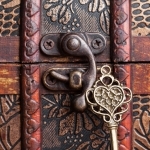 Sign up to access our Treasure Chest. Filled with 30+ downloadable pearls of public speaking confidence, know-how and wisdom from Goddess Of Public Speaking. If you thought giving a talk was about you, think again! No matter how scintillating your information, if it’s not a perfect fit for your audience, they won’t hear you or your words. 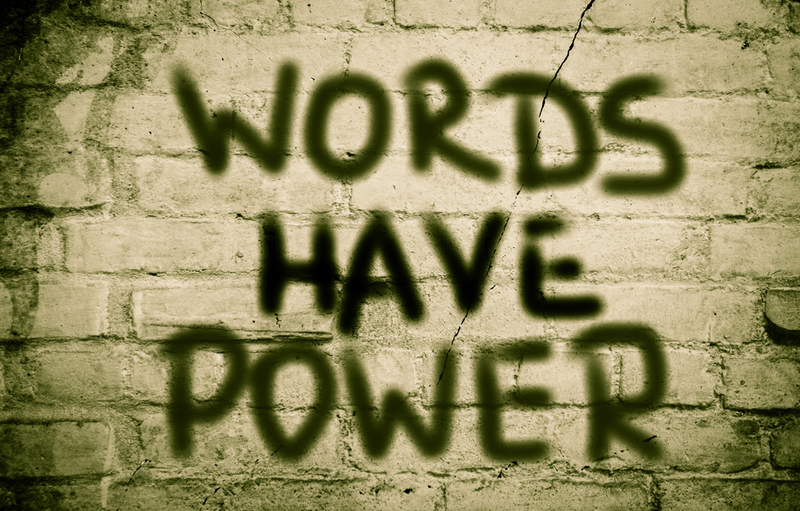 While you have opportunity to influence when you speak, you don’t have total control. Audiences have free will! They can stay, leave, come back and these days change channel. In 16th Century France, if you wished to speak to the Queen, you asked for an “audience”. The origin of the word means “to hear”. In the 21stcentury, “audience” retains its original meaning and refers to “assembled spectators at an event”. If the word “audience” sets your googlies rumbling, try swapping a synonym such as throng, gathering, company, group or my preference, “listeners”. Without an audience, listener or friend you are just talking to yourself. And that’s OK if you like a one-sided chat. If you do have something you wish to say, share or promote publicly then you do need an audience. An audience however, does not need you. It’s a privilege to speak to an audience. And don’t they know it! They want respect, rich content and to be emotionally lifted from the daily dross, connecting to something bigger. Yes, they want it all and they want it now. Read on to learn how to know and keep your audience. Workshop participants keen to learn new skills. Team meetings with colleagues who wait tiredly for your report. Board members whom you must persuade to accept your funding proposal. Children at the dinner table demanding to know why the beach party is cancelled. A room full of expectant listeners waiting to hear the answer to the meaning of life! Demographics: How old are they? What do they do for a living? Are they strangers? Psychographics: What do they care about? What are their common problems? Logistics: How big is the audience? Do they have special needs, like wheelchair access? Promotion: What are the best methods to reach and motivate them to attend? Learning Preference: How best do they absorb information? Visually? Doing? Discussion? Morale: What’s the mood of the audience? Excited? Bored? Do they want to be there? How you will deliver the goodies to them. Just like a restaurant, audiences desire fresh, authentic and good value dishes on the menu. They want to be entertained, informed and inspired. Inauthenticity repels and b*s* detectors are set on high. Listeners want you to be real, otherwise, how can they trust you? Entertain: Open with a juicy story your audience specifically cares about. Inform: Shower generously with rich, interactive content, case studies and results. Inspire: End by helping them to see rewarding change is within their grasp. When an audience connects emotionally with your message, they feel it. When they see evidence and proof, they believe it. And when you give them a personal experience of it, they take ownership. Help listeners take ownership by engaging deeply. Ask rhetorical questions, pause while they think. Look into their eyes and read their face, just as you would a one-to-one conversation. Facilitate interactive exercises, use physical props and invite questions. Listen and hear your audience. Listeners do need more than data and a touching story. Most importantly they need to know WHY. “Why” gets you out of bed in the morning and connects you to the Big Picture. When people understand and care about the “why” of a topic, they take action because they want to. And that’s when your idea and message grows wings. It flies away to reach an even bigger audience. It’s often quoted that only 2% of audiences follow through and get results. The other 98% think it’s a good idea and forget about it the next day. So how can you inspire your audience to fly into action? Depending upon the situation, I advise my clients to start with answering the “why” to generate interest. Then stir emotionally to engage feelings, followed by solid evidence to satisfy the mind. Deliver interactively so listeners have a personal hands-on experience. Lastly, show the next steps to take. Make the pathway attractively simple to inspire immediate action. Often when we get asked to speak, we’re so caught up with ourselves, we forget the whole point is to communicate fabulously well to others. To help them understand, learn and grow. The Art of Audience is to know to whom you speak. To research, customise and exceed expectations. To entertain, inform and inspire. 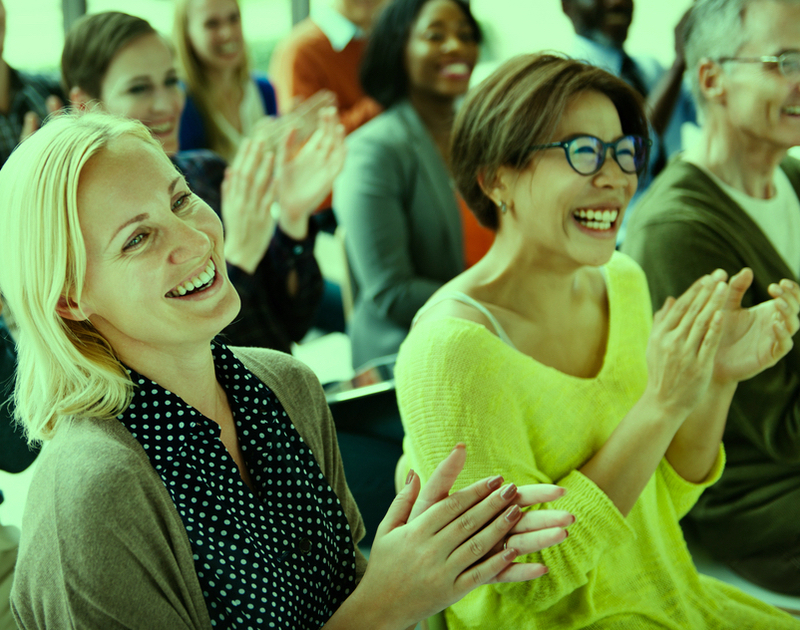 With the art of audience, you’ll know how to deliver powerful talks that get under your listener’s skin, into their hearts, out of their chairs and into action. Ta daa! (For further reading on working with Audiences, here's links to a few of my other articles: Speak and Listen With Presence, The Radiantly Attractive Communicator, 3 Questions In The Mind Of Your Audience . TED Talks is a fabulous book. Essential reading for the modern presenter. Filled with poignant tips and practical examples of how to use spoken word to creatively get your ideas across in a very short time. I'll be brutally honest. 80% of "how to public speak" books and videos bore me silly. There are always gems in every offering, but boy do you have to wade through alot of mud to find the rubies. 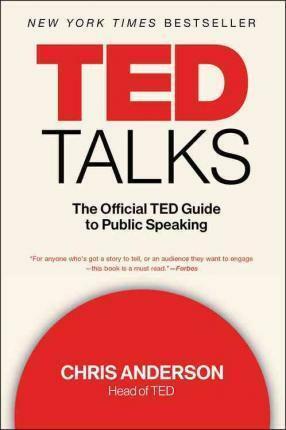 Ted Talks the book, makes the ancient art of public speaking exciting, relevant and a must have accessory for anyone who seeks to be heard. I've always struggled to neatly explain what I do for a living as it's so much more than public speaking. "Public Speaking" has alot of ho-hum baggage. Chris Anderson reframes "public speaking" as an "aha!" moment for great ideas to be shared and every voice to be heard. With the internet as vehicle, 20 minute talks can literally change the world and bring us closer to one another through shared humanity and technology. 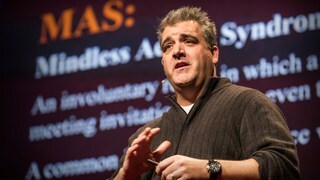 TED Talks is written specifically for writing and delivering a short TED-style talk. It covers the fundamentals of purpose, message, story, structure, delivery, inspiring action and managing your nerves to get you out in front of people. The book is totally applicable for all styles of presentation. The focus is on communicating your ideas authentically and clearly, not perfect polished oration. These two books share a tender compassion for people and ideas. And both provide practical steps on how to tap into your own humanity and connect us all to something bigger. Exciting, life changing stuff. I love witnessing people unfurl themselves and their ideas in front of me. It's why I'm still a speaking coach after 20 years. If you desire to inspire behavioural change within office culture, David Grady’s short TED Talk shows you how to poke fun at a universal problem and present a simple, do-able solution in 6.4 minutes. David engages immediate attention with a visual story we can all relate to: wasted days of pointless, endless meetings at the office. He cleverly reframes the problem as “Stealing Your Time”. This reframe names the righteous indignation we feel but seem powerless to change. David shares his simple solution: only attend meetings with a clear goal to make a productive outcome more likely. And assist meeting organisers to learn how to create meetings with purpose. David Grady’s speaking style is casual, down to earth and approachable. Which I think, makes his ideas less threatening to corporate culture and increases the likelihood of adoption. David's talk taps into our sense of fair play and common sense. For more talks about "ideas worth spreading", visit the home of TED Talks. Enter your email to subscribe. You'll receive notifications of new blog posts by email. How To Speak & Be Heard. From Fear To Fabulous. Now.